New York - TOP 10 Tips #1 - Life is a lucky bag! 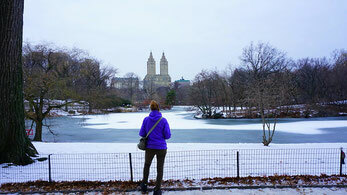 When I travelled to New York in December, I had a long list of things what to do and see and visit and eat in New York... It was nearly impossible to do everything, although we stayed for 9 days in total. When we came back, everyone started to ask: what was your favourite place? This might not sound like a super secret Tip, but if you come to New York and if you like to see some green, the Central Park is a must! New York itself is - of course besides the public parks - not a very green city. You can walk streets and streets without seeing a single plant so I felt kind of relieved when I arrived to Central Park. Anyways, I was surprised how comparably small the park is. If you hear about it and see it on the movies, you expect the park to be huge, but in fact, if you are a good and fast walker you can see much within two hours. DO: Go and see the Balto-Statue on the east side of the park and also don't miss The Ramble, a very quiet spot with a meditative atmosphere. DON'T: Take a ride on the carriage or feed and touch the squirrels! If you would like to see the city from a higher position and if you want to save some money, I recommend to go to one of the rooftop bars all over New York. Remember: when you go in top of the Empire State Building or the Rockefeller Center, you won't see these iconic buildings that make a big part of New Yorks Skyline. 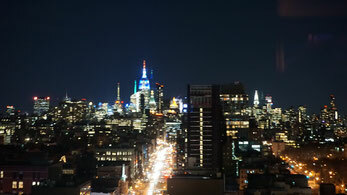 DO: Choose a Rooftop Bar which is not too popular, especially when you don't want to party, but just enjoy the view! This is the bar I chose. DON'T: Simply don't spent money on entrance fees! There are free options! Do you like walking? Are you travelling on a budget? If yes, this is your choice! During my trip to New York I did two tours: Brooklyn Bridge with Onel and the Harlem Tour with Lady Altovisa. I enjoyed both of them and I highly recommend it to you! DO: Book in advance and bring cash so you can tip your guide! DON'T: Book a tour and don't go, tours are limited to a maximum of participants and you shouldn't block a seat if you are not planning to go! Top 10 Tip No. 4 - Don't limit yourself to Manhattan! New York is a gigantic city but as soon as I started planning my trip I realized: nearly all of the travelguides are limited to Manhattan, especially focusing on the area from Lower Manhattan up to Upper West and East Side - so you could think there isn't anything else to see. But in fact: there is! Besides Manhattan with 1.65 million inhabitants, you also have Brooklyn (2.63 million inhabitants), as well as for example: Queens & The Bronx. Therefore I recommend: skip one or two things of your loooong Central-Manhattan-list and explore New York a little deeper. 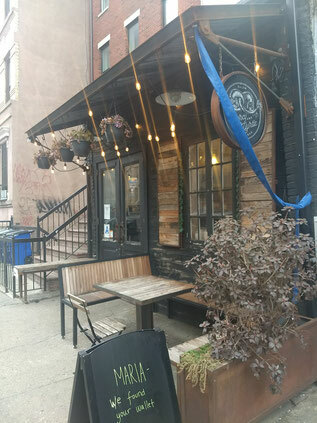 Take a walk through the surrounding areas and spot some beautiful places all around NYC! 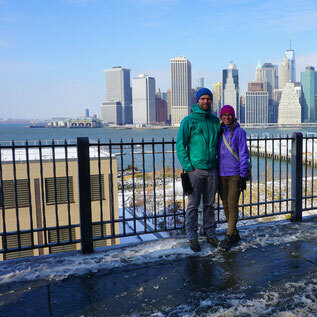 DO: Our simple "DO" is: go and walk some other areas of New York! DON'T: Always go by subway. Better go to some place and walk the rest - therefore you will be able to explore the city in a very intimate way! 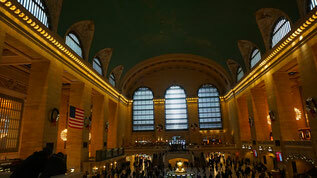 The Grand Central Terminal is (in my opinion) a very underrated sight in New York City. For sure, you find some hints in most travel guides, but at least the ones I read didn't really tell you a lot about the station. In fact, I was really impressed, how much time you can easily spend here: besides the very impressive main hall with the beautiful clock in the middle, don't miss on the food market and the whispering corner where you can hear your friends whispering on the other side of the hallway. To make my way through, I was using a little guide I found online telling you a lot of secrets about the GCT. You can download it for free here! DO: Take some time to admire the big main hall and the little “secrets” on the ceiling by using the offline guide. DON'T: Don't rush through in five minutes or block the whispering corner for a really long time.